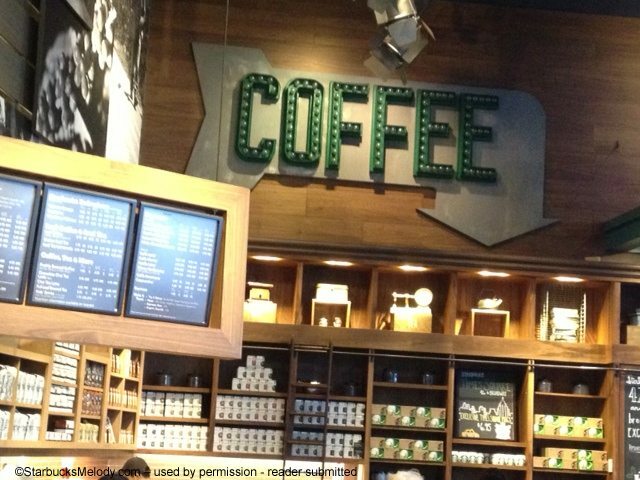 Thank you to the many readers who submit their photos to StarbucksMelody.com! I thought I would share some of my favorite Starbucks photos, all sent to me in the past few weeks or so. I also received a great photo of the Canadian launch of Thanksgiving Blend. This is a great coffee, first introduced in 2008, and now offered in many countries. 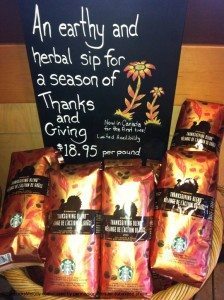 (In many countries, this coffee is renamed “Autumn Blend.”) This year is the first year that Canada is getting this coffee (as well as many international markets). The photo below, of course, features the Canadian packaging, which is interesting to see! And, I like the chalkboard art! 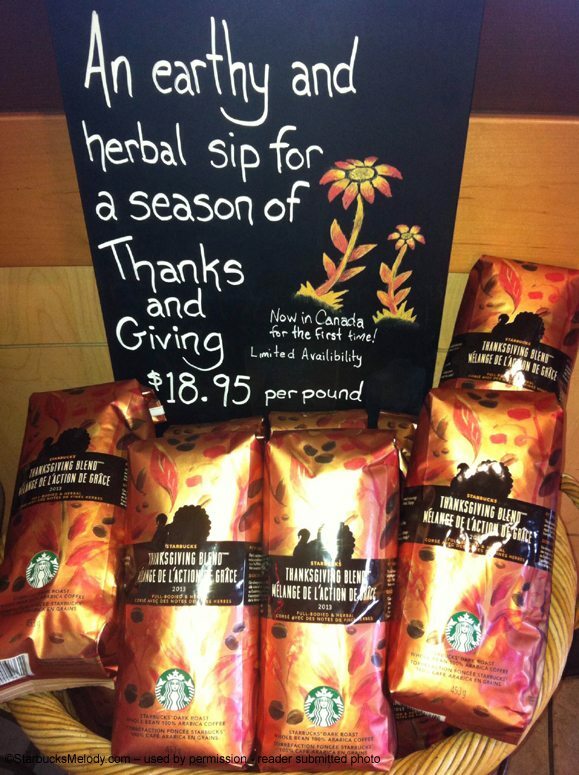 I feel like I am ready to see Thanksgiving Blend land in Starbucks stores. At least in Seattle, it feels like fall weather has really hit us. Thank you again for sending in your pictures! 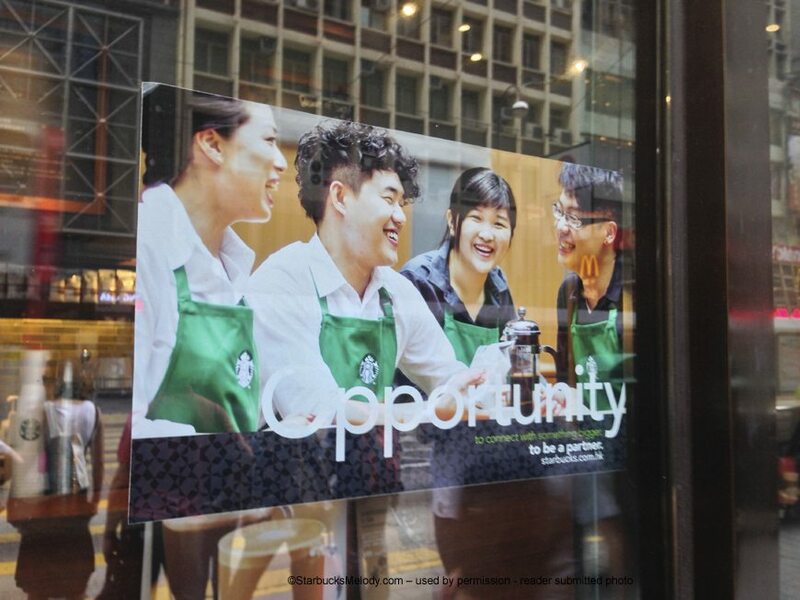 I like the Hong Kong window pic. 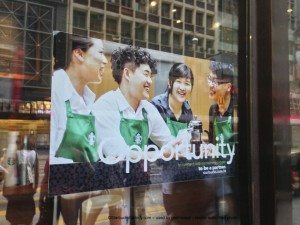 You know it would be nice (probably not possible) if SB did local pics of partners and put them in the windows to promote things. I nice way to say thanks to the partners. That is quite interesting about the Times Square SB.